The first annual Haringey Voluntary and Community Expo organised by Bridge Renewal Trust and Haringey Council got off to a flying start on Friday, 25 November 2016 at Tottenham Town Hall. Hundreds of residents, community groups and other organisations enjoyed a jam-packed programme of activities. These ranged from exhibitions and displays to performances including dance to improve physical activities and theatre to promote mental health anti-stigma. Leading voluntary sector organisations were on hand to provide specialist information about carers’ rights and essential issues that affect the lives of Haringey residents. With the help of leading experts and decision makers, the Expo featured two focused panel discussions. 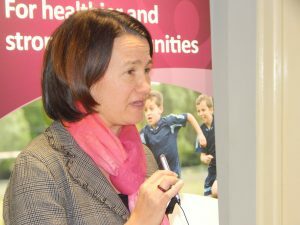 The first looked at how to improve the health and wellbeing of all residents and the second, ensuring that local community groups have the resources to deliver a range of services meeting the needs of the people they support. The day ended with the first Community Impact Awards, which were given to outstanding individuals, grassroots community groups and voluntary organisations. There were more than 300 nominations across nine categories, showing the richness of the community in our borough. Nominees overcame limited resources, worked with volunteers and showed great innovation in addressing significant disadvantages in the community. The Voluntary and Community Sector Organisation of the Year was Finsbury Park Sports Partnership, a local group that raised over £1m for physical activities. Ambitious College – London’s first specialist day college for young people with complex autism – was winner in the newcomer category. More than 200 young people and adults who give their time freely as volunteers were nominated as Haringey Heroes. 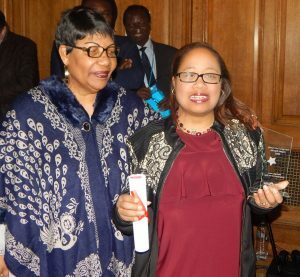 Haringey Hero (Volunteer) of the Year was Georgina Pierre-Louis, who has overcome her own personal challenges to make a huge contribution as a volunteer at Pembury House Children’s Centre, where she has helped support children and their parents and carers since 2004. 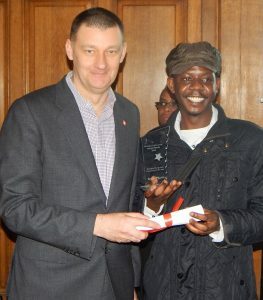 Limudin Ali was named Haringey Young Hero (Volunteer) of the Year for his outstanding work with young people, including being an Ambassador for the Princes Trust, running acting workshops and engaging young people in training and employment. Click here to listen to the uLearnNaturally Radio podcast from the event.